If your Mercedes-Benz needs repairs, turn to our Mercedes-Benz dealership in Escondido, CA, for all the parts and accessories it requires. We have a wide variety of authentic Mercedes-Benz parts and accessories for sale, which means we’re sure to have exactly what you need. When you’re driving a car as luxurious and well-engineered as a new Mercedes-Benz, you want to be sure to treat it to the care it deserves. Our genuine Mercedes-Benz parts and accessories were specifically designed to fit your vehicle seamlessly, and deliver long-lasting performance. Make sure that your Mercedes-Benz drives like it should for years to come by using only genuine Mercedes-Benz parts in all its repairs. 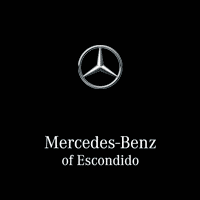 When you take your Mercedes-Benz to our Escondido service center for car repairs, we’ll use authentic Mercedes-Benz parts whenever possible. We also have a wide range of Mercedes-Benz tires for sale on premises, in case you ever need a tire replacement. Additionally, we can help you customize your Mercedes-Benz with authentic accessories. From new technology features to remote starters and all-weather floormats, we have everything you could possibly need!